Happy 4th of July, we are going to get into 3 Fonteinen Zwet.be in this beer blog. It is a pretty unique beer. It is a Belgian Porter, which is unique as it is, but they use the Begian yeast during the brewing process. 3 Fonteinen was founded in 1887 in Belgium. They were brewing lambics beers. It is style of blending old and young beer into one. It was sold 1953 to Gaston De Belder and it has been the family since. The current owners have expanded the brewery and they have been exploring into different beer styles like the one we are review here. Let us get into this unique beer. It has a jet black color with a constant tan to light brown color head. The smell is a dark chocolate cover fruit. The taste of this full body is a dark chocolate with a tart aftertaste. It is a sipping beer with a cigar. This unusual ale is the brainchild of Armand Debelder, brewer and blender of the world-famous Drie Fonteinen lambics. A Belgian Porter, brewed with wild yeast cultured from Armand’s casks of lambic. 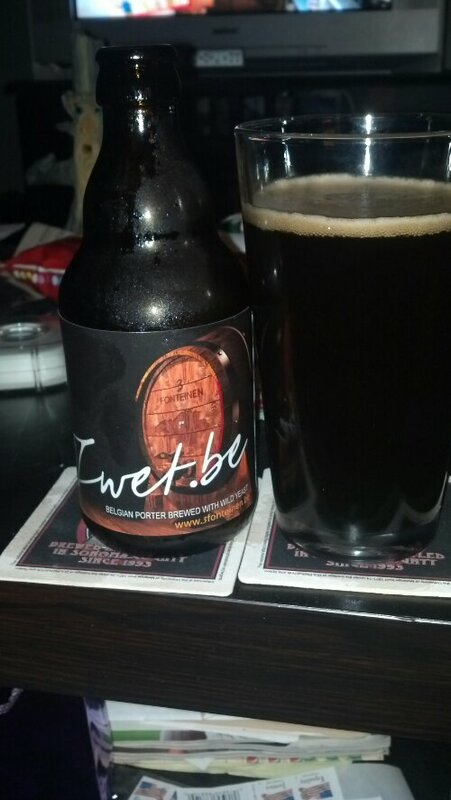 Zwet.be, unusual “black” beer mixed gistingis is brewed with wheat, Maris Otter malt and cara malt. Specifically, the mixed fermentation, yeast culture on the one hand from the Beersel Blonde, other lambic yeast. The lambic, brewed by Armand Debelder, a specific type of Brettanomyces geïsolleerd. This yeast gives this beer of 7% alc. volume slightly tart finish.